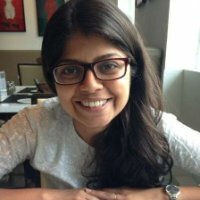 Smita is a results-driven strategist working in the energy access ecosystem for more than 8 years. She has closely worked with and advised social enterprises, not-for-profits, philanthropies and private and public sector agencies in designing and implementing evidence-driven strategies that accelerate and sustain social impacts. Passionate about catalysing large-scale yet inclusive social change through responsible investments and honest engagement with the primary stakeholders, Smita is a believer in market-based solutions and a strong advocate of better-contextualized solutions, intended to include women and other on-the-margin population categories. Working in the energy access ecosystem, her ability lies in unpacking the intersectionality of people, systems and processes. Smita has a significant body of work at the grassroots, having worked on executing programs for organisations such as TERI, Sambodhi, Ashden India Renewable Energy Collective (AIREC) and Tata Trusts, she also possesses experience in policy advocacy, social enterprise mentoring and designing effective impact pathways. At Tata Trusts, her current role foussed on bringing together a range of actors in the clean cooking space for creating an enabling ecosystem through evidence-driven, community-oriented strategies on clean cooking. In her current role at FISE, she is responsible for defining and implementing impact measures, portfolio optimization strategies, reusability across incubate companies and work with R&D Labs within the ecosystem to drive cross disciplinary research and development. Smita is also a Rockefeller Foundation Global Fellow on Social Innovation.